Finding a quick, easy last minute picnic dessert isn’t always easy, but this recipe for peaches that are grilled, then topped with yogurt and pecans is sure to fit the bill. 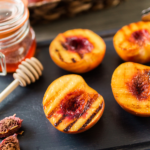 August is National Peach Month and that makes it a great month to have a few last minute picnics before the fall weather sets in. Peaches are also in season in August, which makes this recipe perfect for those who prefer to eat what is available locally in season. This recipe for peaches is super easy to make and a perfect picnic dessert. 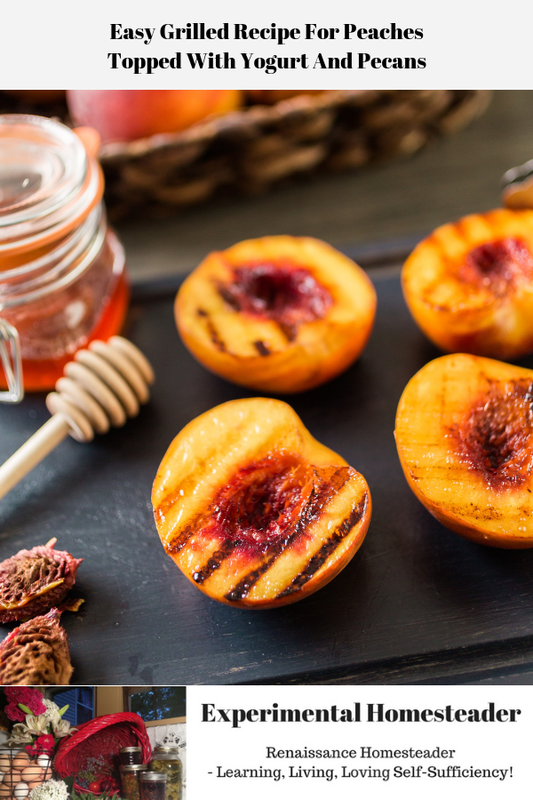 Simply prepare the recipe right before you head out the door, allow it to marinade while you are on your way to your favorite picnic location then grill the peaches and enjoy! 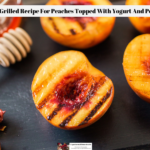 Here is the grilled peaches recipe. Place the peaches into a bowl, add the sugar and drizzle with the vanilla paste. 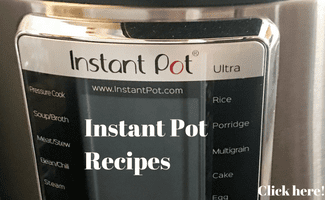 You can substitute vanilla extract but I think the paste tastes better. Toss the peaches to coat them lightly with the sugar and vanilla. Set the bowl aside and allow the peaches to soak up the flavors for about 15-20 minutes. Meanwhile, preheat the grill to medium-high heat. 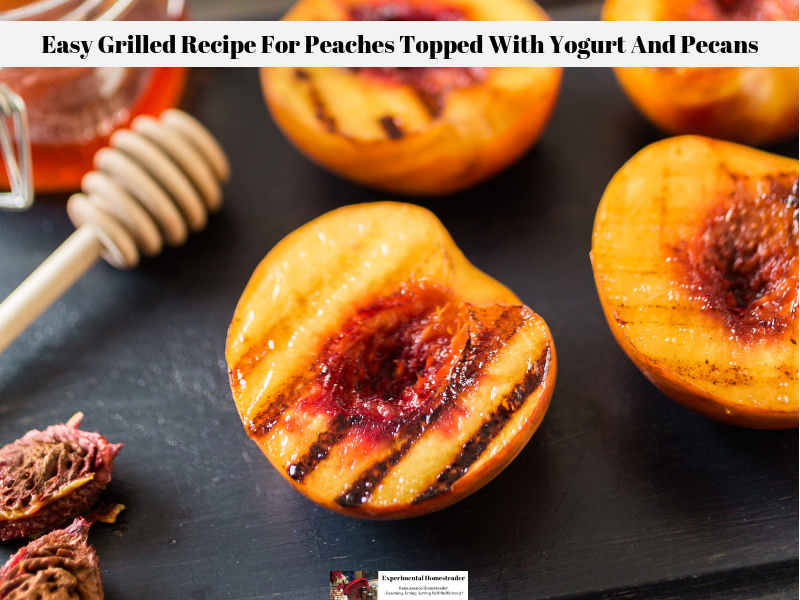 Once the peaches are done marinating, grill the peach halves for about 5 – 8 minutes on one side, then turn the peaches over and grill them for an additional 2 to 3 minutes. There should be grill marks on the peaches. Divide the peaches into 4 dishes, top with frozen yogurt and a sprinkle of chopped pecans. I hope you will give this recipe for peaches a try, especially during the months when they are in season and at their best. 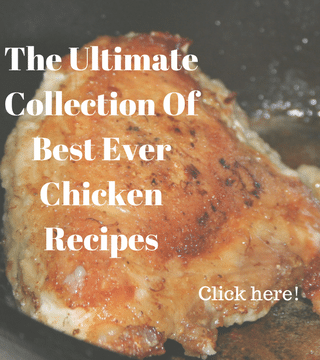 While this does make a great picnic recipe, it is also a wonderful recipe for backyard BBQ’s. 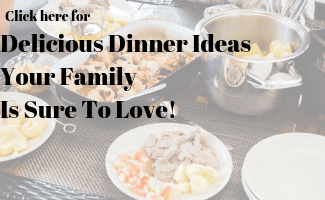 Feel free to leave your comments or suggestions in the comment section below and I would love to hear how this recipe turned out for you! Before you go, be sure to sign up to get your FREE recipe card that is a perfect fit for a 3″ x 5″ recipe box. 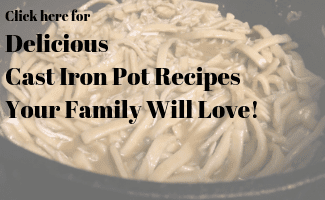 In addition to getting the custom recipe card, you will also be signed up for our newsletter so you will always be up to date on new posts and get great recipes right in your inbox!